If you have ever seen Kohaku koi, you already known how breathtakingly beautiful these fish are. Today these lovely fish are known for having a pure white body with great red patterns on the body. This particular type of koi has been bred for many years. In fact, many think that cross breeding among koi has been done since the middle of the 19th century. 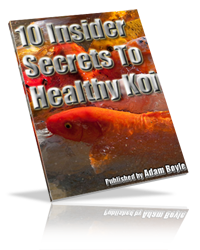 You may want to add some of the Kohaku koi to your fish pond, but before you do, it’s a good idea to learn a bit more about them. There are a couple of different theories about how the Kohaku koi were first created. Some believe that the red and white fish were created by crossbreading Magois and Narumi Asagis. Others seem to think that the Magoi, was bred with Shirigoi and Higoi to come up with the lovely color combination. The Gosuke Sarasa were eventually developed and it is this bloodline that the Kohaku koi have descended from since that point in time. When you are trying to decide if you have a quality Kohaku koi, you’ll want to take a look at the hi, or the red markings on the fish. The red markings should have the same coloring all over the fish and the edges of the red markings should be very well defined. They should not be fading into the white area on the Kohaku koi. Bits of white should not be inside of the areas of red as well. About two thirds of the koi should be the red color and the red areas should be distributed artistically on the Kohaku koi too. While you don’t have to have symmetrical use of the red on the fish, it should be well balanced. Another thing to look for in high quality Kohaku koi is red areas that are shown in steps. This means that the spots go from left to right to left again, creating what looks likes steps of the red. This is known as the Nidan pattern and if this is present on the Kohaku koi, it makes them a lot more valuable. You also should be looking for red areas, or hi, on the head of the Kohaku koi as well. The highest quality and highest valued Kohaku koi shouldn’t have any red areas on their fins, around the mouth, or below their eyes. While these markings are really acceptable, they won’t bring the most money or win the highest prizes in competitions. On the other hand, if there is a u shape area of red right above the eyes, this is considered to be a very exceptional pattern of markings, which makes the Kohaku koi fish very valuable. Some of the other patterns include having a red blotch right in the middle of the white head of the fish. If the red mark is very round, it makes it look almost like the Japanese flag, which is a very desirable trait indeed. Usually these specific Kohaku koi are referred to as the Tancho koi and they end up being judged in a specific class because they are of such high quality. As you are looking for quality Kohaku koi to add to your koi pond or to raise for competition, you’ll want to make sure that the hi will wrap around the body of the fish as well. It should be around the lateral lines from the gills all the way to the tail of the fish. There should be an area of white right between the tail hi and the hi that is on the main body of the fish. This marker is to balance out the white nose of the fish as well. When it comes to the white on the Kohaku koi, you’ll find that this white is supposed to be pure white. It should be snow white and there should be no yellowing at all. This way you get the nice contrast with the red markings on the fish as well. If the area is a yellowed white, the fish won’t be worth as much and should not be used in competition. 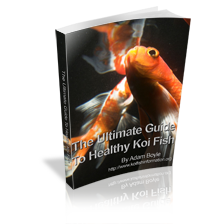 These are only a few of the things to take into consideration when you are looking for the best possible Kohaku koi. When these fish are judged, these things will be taken into consideration. These lovely fish are one of the most popular varieties of koi today and they not only bear the beautiful colors of the Japanese flag, but they also are considered to stand for the entire Japanese culture, which has made them very popular and well loved. Carefully choose the Kohaku koi if you want to own some of them so you are sure you get high quality fish that will look incredible within your koi pond.